We have been critical and will likely continue to be so in cases where governments push towards higher energy efficiencies with little regard to cost or installation problems. But at the same time, one often feels for civil servants who on one side are being pushed by politicians who want their jurisdiction to be “the greenest” and on the other side are being advised by the industry that some of these proposals are not practical or even possible. Today, manufacturers and industry associations seem to be working more closely than ever with government. That has become a top priority. Codes and standards are no longer about simply ensuring that equipment and systems are safe. With the introduction of energy efficiency into codes, they are changing rapidly. We have been critical of Natural Resources Canada (NRCan) at times when we felt the push or higher efficiencies was happening too quickly for the industry to keep up with. So, it is appropriate that we also comment when things seem to be going right. In an article in our March issue (reprinted below), we reported on the update to energy efficiency regulations for gas and oil-fired storage tank water heaters that have been proposed to take effect Jan. 1, 2020. As the industry moves to higher efficiencies and condensing equipment, it appears that NRCan has found a balance between political pressures, industry and building owner needs by limiting the need for condensing equipment to new construction, where it can be planned for and factored into the design and cost. On the residential side, there was a fear that retrofit gas storage tank water heaters would be required to be condensing and that the ‘sticker shock’ to homeowners would be considerable. However, it now appears that contractors will still be able to install the traditional non-condensing water heaters. On the commercial side, there is considerable fear that the new regulations would require condensing equipment in retrofit applications. However, NRCan has been working to find a solution that will, in most cases, allow new equipment to use existing venting. The current proposal is for 82 percent thermal efficiency with a standby loss component. As the editor of this magazine, the ability to publish an article clarifying some of these issues represents a breakthrough. We were able to interview NRCan officials for the article for the first time in several years. Previously, beginning about the time Stephen Harper took office, we had to go through a lengthy process of submitting written questions and waiting for answers that, when they came, often didn’t fully answer the question. 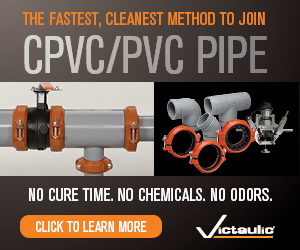 This new openness will help in getting accurate information out to the industry. This along with a co-operative approach to energy efficiency standards can’t help but be a benefit. Or at least reduce the pain! Metro Toronto Convention Centre, North Building. Please visit www.cmpxshow.com or call 1-800-282-0003 (long distance) or 416-444-5225 (local). Moncton Coliseum, Moncton, N.B. Please visit www.meetshow.ca or call 506-658-0018. 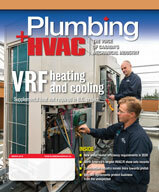 VRF systems provides year-round heating/AC in B.C.